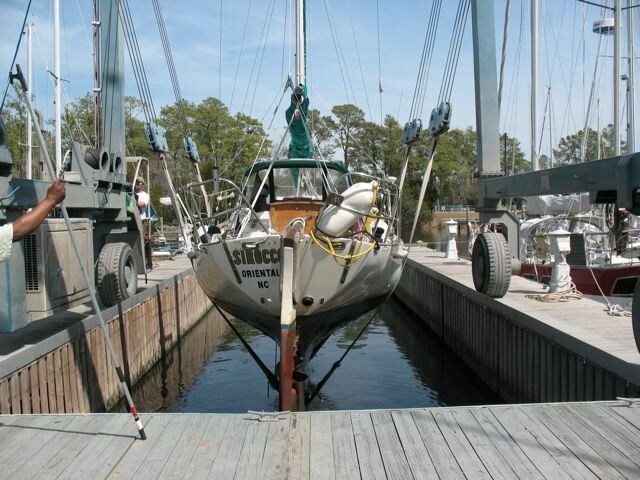 Sirocco is out of her element for the time being so that I can get a few jobs done below the waterline. On the list was the cutless bearing for sure, but that sort of ballooned into a bigger project that involved removing the engine all because I couldn’t get a coupling to come free of the drive shaft! Well, there are many things that I can accomplish now that will only make Sirocco even better: repainting the engine and engine room; replacing the engine mounts; replacing the wiring on the engine; cleaning the keel tank below the engine; cleaning the bilge, etc. I will be busy for weeks to come!